Travel plans can change frequently; and when they do there’s always refunds involved. Cleartrip processes all refunds within 24 hours, but that doesn’t mean you get your money back in 24 hours — it takes between 2 to 6 business days for the refund to actually be credited to your account. That’s really slow. And painful: refunds are the second-largest source of complaints from customers. 68% of Cleartrip customers who cancel go on to make a new booking almost immediately after they cancel. Since the refund money takes days and days to arrive, customers are stuck without the ability to use the money they already paid for their new booking. And since the delay is caused by the processes of the banks and credit card issuers, it has been out of Cleartrip’s control. 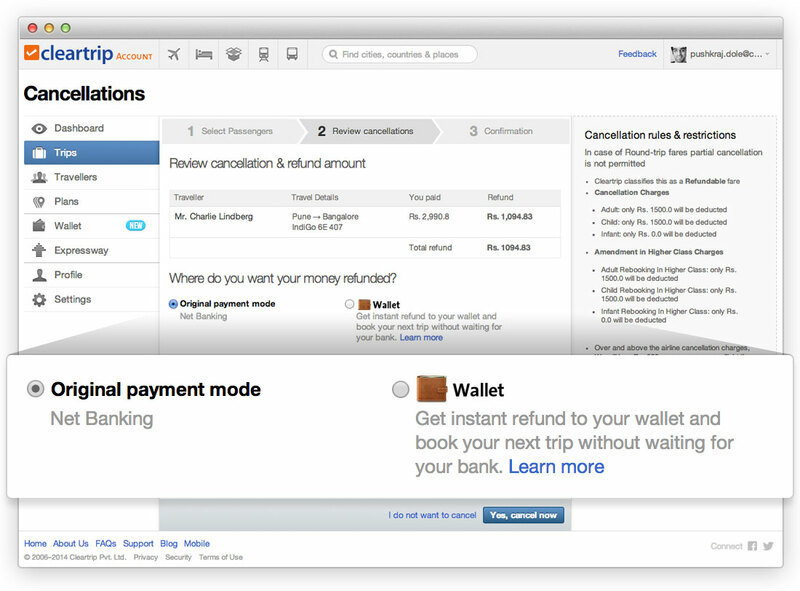 Today we’re thrilled to bring our customers instant refunds with Cleartrip Wallet. Starting now, you can choose to have your money refunded instantly to your Cleartrip Wallet. You can then use that money immediately or at anytime in the future. Money in your Cleartrip Wallet never expires. When canceling a booking you will see the option to apply the refund to your Cleartrip Wallet or to your original mode of payment. 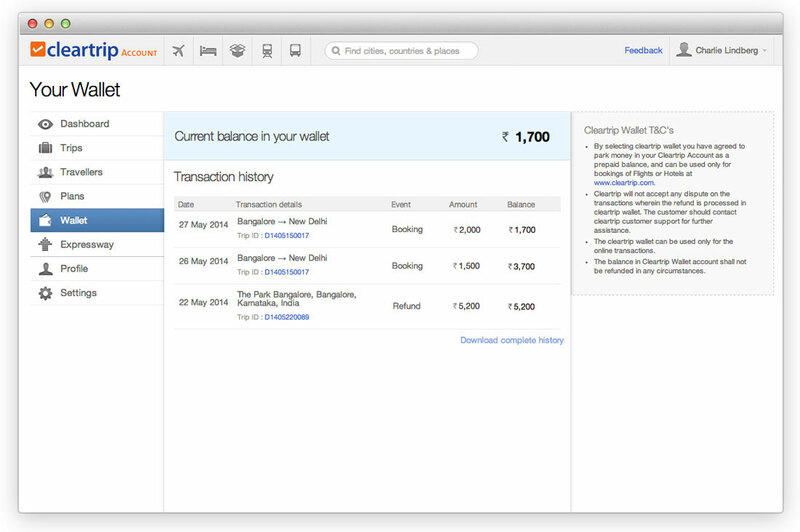 If you have money in your Cleartrip Wallet, it can be used when you’re making a new booking. The amount shows up automagically on the payment step. 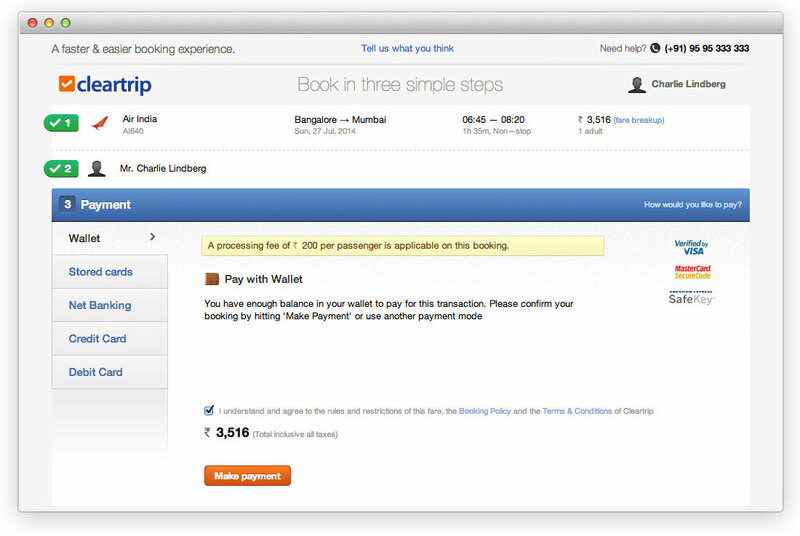 If there’s enough to pay for the entire booking, you can make a hassle-free payment straight from Cleartrip Wallet. If the money in your Cleartrip Wallet isn’t enough for the payment, you combine it with any other form of payment (like credit/debit cards or net banking). You get complete access to all your transactions in your Cleartrip Account. Just click the Wallet tab in the sidebar menu to see details of your 10 most recent transactions using Wallet. You can also download your complete transaction history as a PDF document. At the moment, Cleartrip Wallet only works with flight and hotel purchases. Credits from cancellations can be applied using our desktop site as well as iOS and Android apps right away. 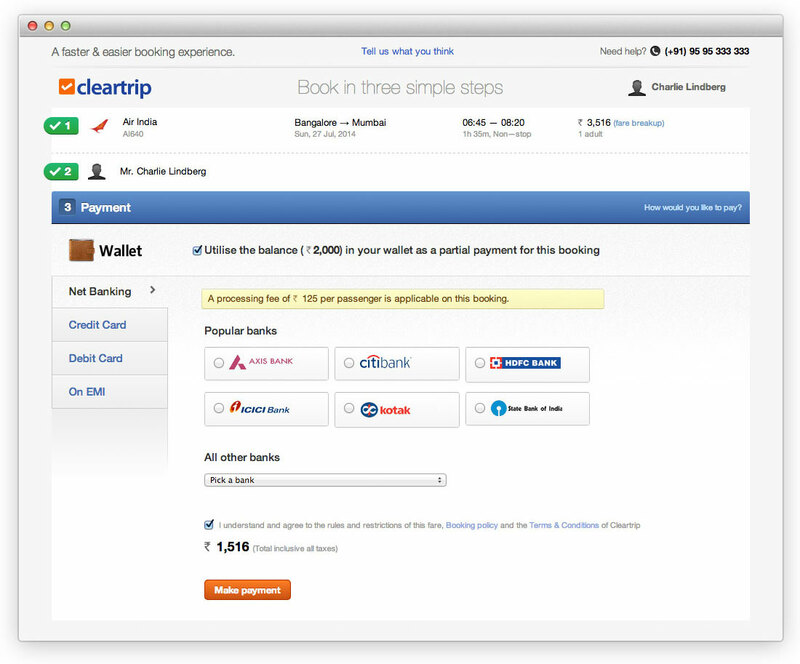 Payments with Cleartrip Wallet can only be made through our desktop site at this time. We’re just getting started and will continue to expand the scale and scope of Cleartrip Wallet. Meanwhile do try out Wallet and share your feedback on what you like and what you don’t. Drop a mail to wallet@cleartrip.com or leave a comment here.